On August 16th, the first classical concert was held at night in the District central. 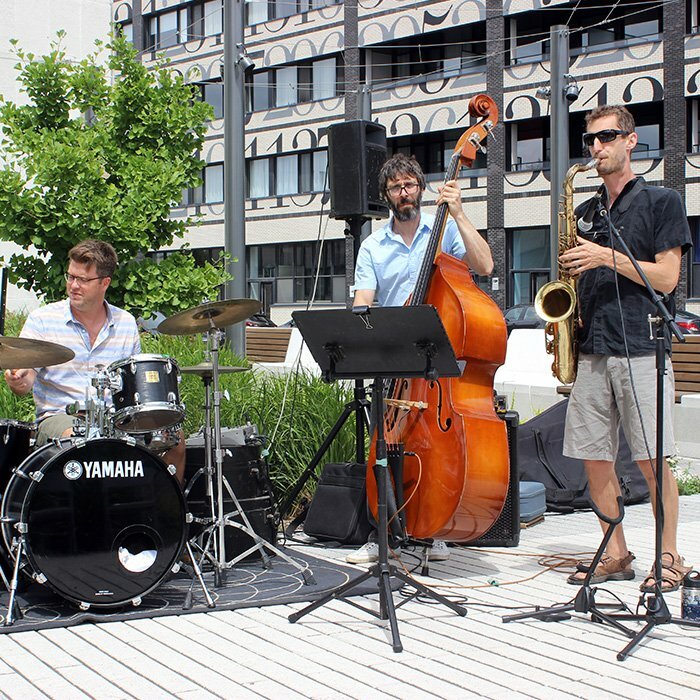 This is the first outdoor concert of its kind in the District central as part of a series of measures to stimulate the business district. “I am proud of this first collaboration which helps create places for exchange and aims to bring the community together, while meeting the needs expressed by the citizens and business people within the area”, said Hélène Veilleux, Executive Director of the SDC District Central. 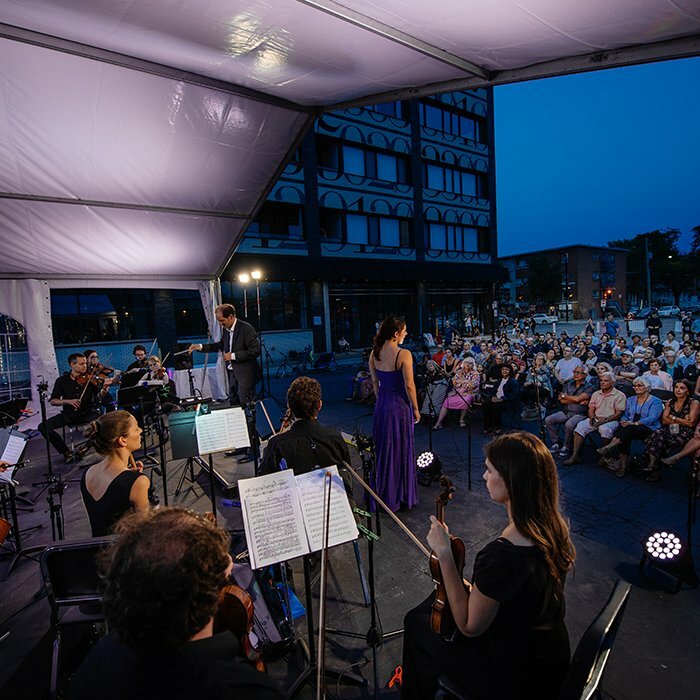 Last June, the Concerts Ahuntsic en fugue organization announced the creation of a temporary orchestra called the Orchestre des berges d’Ahuntsic-Cartierville (OBAC). This group is made up of twenty professional musicians from leading local orchestras and recognized soloists. The District central had the chance to welcome the orchestra during this concert at the corner of de l’Esplanade and Chabanel W. streets. This first edition attracted a crowd of 450 people, a great success! 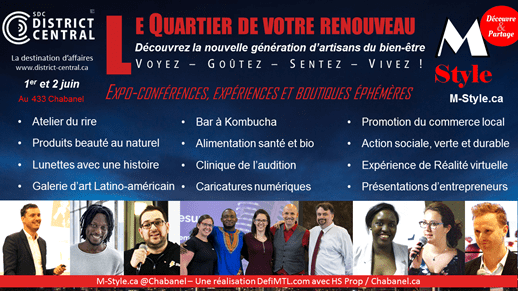 “A classical orchestra at the corner of the street, steps away from its garden, is the ideal setting to come together, dream and experience what Chabanel has to offer. OBAC would like thank everyone who helped make this concert a reality”, notes Clément Canac-Marquis, Founder of Concerts Ahuntsic en fugue. This is the first animation at night to be held on the territory of District central. The high quality orchestra delighted the crowd with a world music segment at the end of the concert. Let’s not forget that it is thanks to the collaboration of the Ahunstic-Cartierville borough, the elected Member for Crémazie, Marie Montpetit, who is also Minister of Culture and Communications, as well as many other private partners, who helped bring OBAC to life. “I am proud of the SDC District Central’s initiative and collaboration with many partners which made this concert possible, and promises to be a memorable event. Providing access to free concerts is a priority for the borough”, explains Émilie Thuillier, Mayor of the Ahuntsic-Cartierville Borough.